What is hair analysis and how is it done? By collecting a small quantity of mane hair and sending it to a certified lab can provide volumes of information. Among the many advantages of a hair-mineral analysis is its accuracy in revealing the tissue levels of minerals in the horse over a two – three month period. Why is this important. 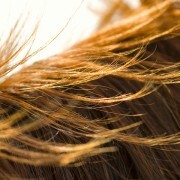 The average level of minerals is about 10 times as high in the hair as in the blood. This makes minerals easier to measure accurately in the hair. The final destination for all vitamins, minerals, sugars, fats and hormones is the cells, not the blood. It makes sense to measure the cells directly to determine whether these substances are actually reaching their final destination. For instance, you can have normal copper levels in the blood, but high copper levels in the tissues. Some naysayers will say you you’re looking at old information but in actuality it gives accurate information on minerals and nutritional deficiencies. It is also the best way to check a few other important factors of your horses’s health. One is the ability to check for toxic metals. Why? Toxic metals are removed from the blood as fast as possible. They are stored in the tissues of the body, where they will do less damage. For this reason, it is harder to detect toxic metals in the blood, although there are such blood tests. Toxic metals are easier to detect in the tissues such as the hair. We are finding more horses testing positive to high aluminum. We have traced this back to poor soil conditions of the hay farms. Another important health check is the endocrine system, specifically the adrenal and thyroid. Why is this important? More and more horses are being diagnosed as “Insulin Resistant” or Equine Polysaccharide Storage Myopathy (PSSM). Through hair analysis we can see if the thyroid or adrenal are overactive or decreased activity. We can compare these with critical mineral ratios to see if your horse predisposed to these issues before clinical signs appear. Often through diet changes and mineral therapy these issues can be controlled. The report provides a base line of your horse’s health and enables you to make informed decisions on your current feeding program. 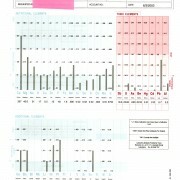 Balanced Eco Solutions offers equine hair analysis from the only certified lab in the USA. Instead of having you decipher the report we have our in-house equine nutritionist review the report and provide a summary along with supplement recommendations. Based on either a forage analysis or hair and mineral analysis we can develop a custom specific to your horse. Press here for more information or to order an Analysis.